There, the group got a surprise visit from Australia’s very first Dakar Rally champion Toby Price, who, after joining them there at dinner rode the rest of the way with the group, on an 1190 Adventure R.
Thursday night’s stopover took the KTM riders to Dinner Plains before the final night’s return to Jindabyne saw a wrap-up dinner with photos and video from the week. Riders also got the chance to choose their own adventure, with an alternative to the day’s Main Route offered in a Breakout Route, which took a more challenging course. Terrain varied from rocky hills to forest tracks, rivers and creeks to sweeping landscapes and ridges with broad vistas. The weather was gloriously fine if unseasonably warm for the first four riding days, but rain on Thursday night sent the KTM riders out with the best conditions of the week on Friday, with almost no dust and some of the best tracks seen — capped off by a crossing of the mighty Murray River. The hungry travellers were treated to dinner every night as part of the Rallye inclusions, which included a KTM goody bag with KTM Rallye t-shirt, genuine KTM Buff, KTM Rallye stickers, KTM Rallye stubby holder and Motorex chain lube & visor cleaner. As it tends to with projects that involve exciting adventure on two wheels, KTM Australia committed fully to the Adventure Rallye with a huge organisational and support crew of 28 Rallye Staff to make certain every requirement was met professionally. This crew included Rob and Anja from Tyres for Bikes on Tyre Support, KTM Tech Support Mike Faulkner, Luggage Supports Mark Pacheco and Greg Chambers, and Gord Lalonde as Backup 4×4 Support. KTM Australia is anything but a brand run by suits, and its support network on the Rallye also included; KTM General Manager Jeff Leisk, National Sales Manager Tam Paul as well as State Brand Managers Ray Barnes, Brendon Roberts and Angus Reekie. Marketing Manager Greg Chambers and Marketing Coordinator Rosie Lalonde were there to keep things true to the vision, while Official Photographer Danny Wilkinson and Videographer Adam Riemann captured it, and Route Coordinators Nick Selleck from Maschine and local High Country legends Sprocket, Grego and Huffy provided the best possible guidance. 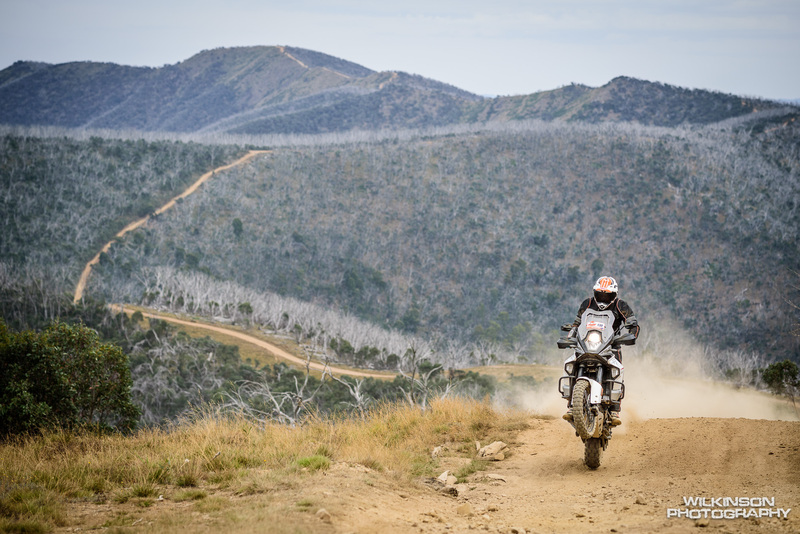 Check out the KTM Australia Adventure Rallye preview video below! Full feature length film to come . . .